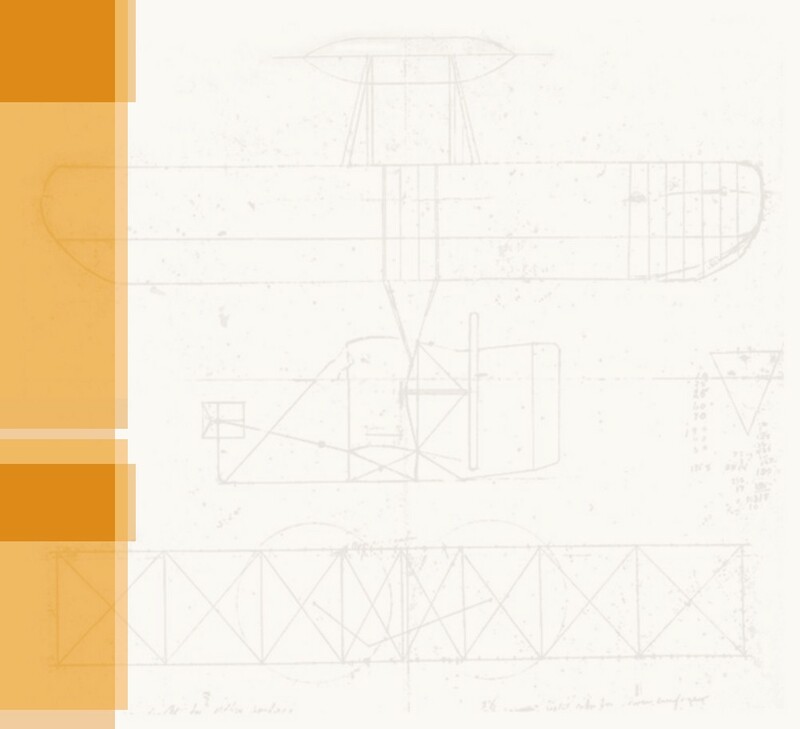 he Wrights and Charlie Taylor assembled their new airplane and had it airworthy on June 24, 1909. But they declined to fly, even when the entire Senate showed up on June 26 and asked to be given a demonstration. The Wrights were determined that nothing would go wrong with this second set of trials, and the double-checked and triple-checked every screw and wire. "They tinkered and fussed and muttered to themselves from dawn to dusk," said Lt. Benjamin Foulois, who would later become one of the Army's first military pilots. "It seemed as if they would never say they were ready to go." On June 29, Orville finally took to the air — he would do all the flying for these trials. It was a shaky start. He smashed a skid on the second day and tangled with a thorn tree on the next. One wing was badly ripped, and Orville dashed back to Dayton for a new wing covering. When he flew again on July 12, he had finally shaken the bad "hoodoo" that plagued him. He began to make long, trouble-free flights. On July 27, he set a new duration record for a flight with a passenger of 1 hour and 12 minutes. 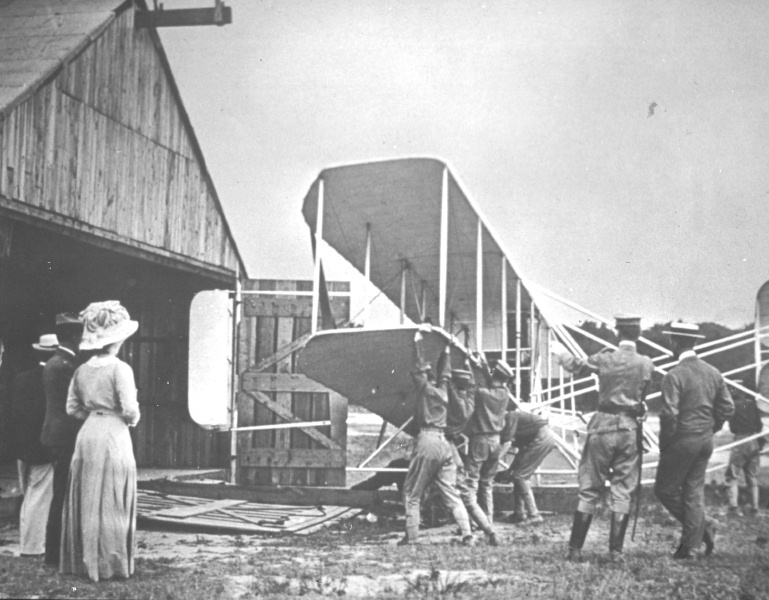 The Army was impressed, especially since one of their requirements was that the flying machine be able to remain aloft for one hour with an observer on board. Perhaps the most important requirement was that the airplane be able to fly at least 40 miles per hour. The need for speed was what concerned the brothers the most, and for good reason. For every mile per hour under that speed, the Army would deduct $2500 from the base price of $25,000 for the aircraft. For every mile over 40 miles per hour, they would pay an additional $2500. 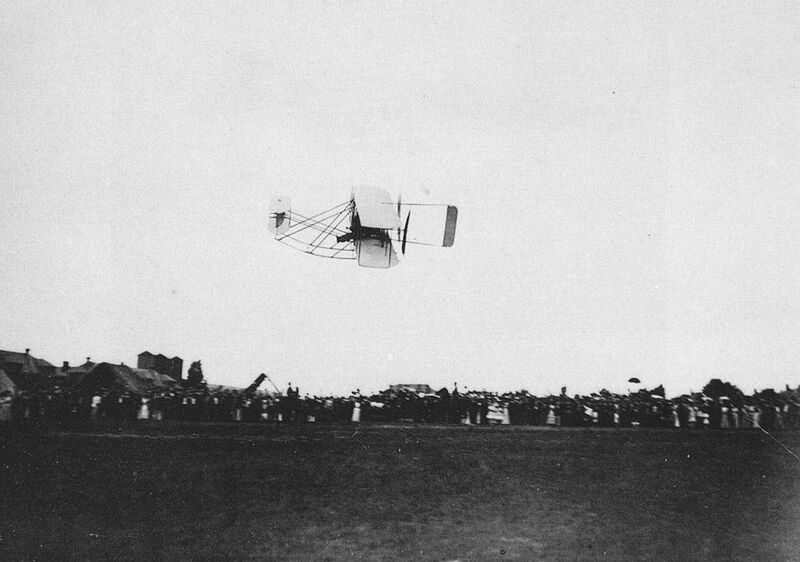 Orville flew the speed trial on July 30. He took off with Benjamin Foulois on board, made two slow climbing turns to about 125 feet, and headed for Shooter's Hill, about 10 miles away. Foulois started his first stopwatch as Orville passed the launching derrick. 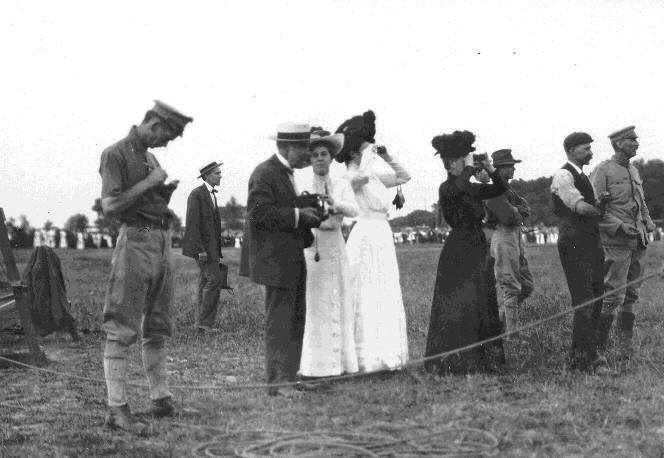 As they rounded the balloon the Army had tethered on the hill, Foulois started a second stopwatch. Orville made a steady climb to 400 feet — another record. As soon as he had the Fort Meyer parade grounds in sight, he nosed the aircraft down slightly and began to pick up speed. Foulois stopped both watches as Orville shot past the derrick. Orville flew a victory circle around Arlington Cemetery and landed. Wilbur came running up, a smile on his face for the first time in a month. 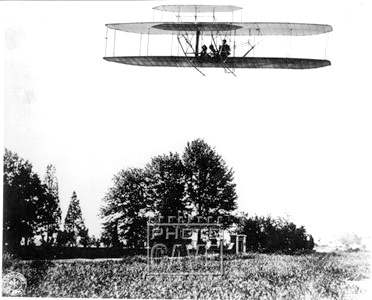 Orville had flown an average speed of 42.583 miles per hour — yet another record — qualifying the Wrights for a bonus of $5000. 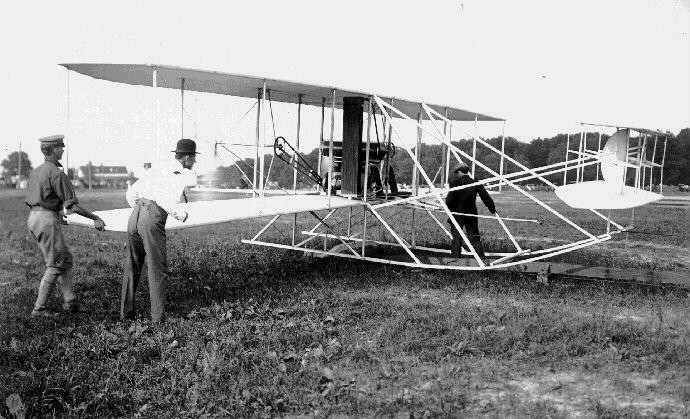 The U.S. Army would pay $30,000 for the world's first practical military aircraft. 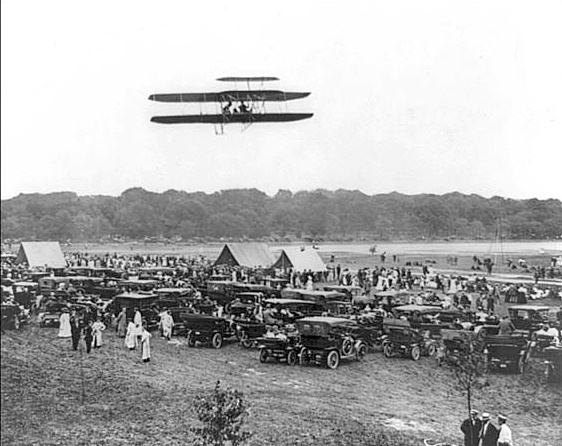 A Day to be Remembered -- Benjamin Foulois remembers his record-breaking ride with Orville Wright on 30 July 1909. 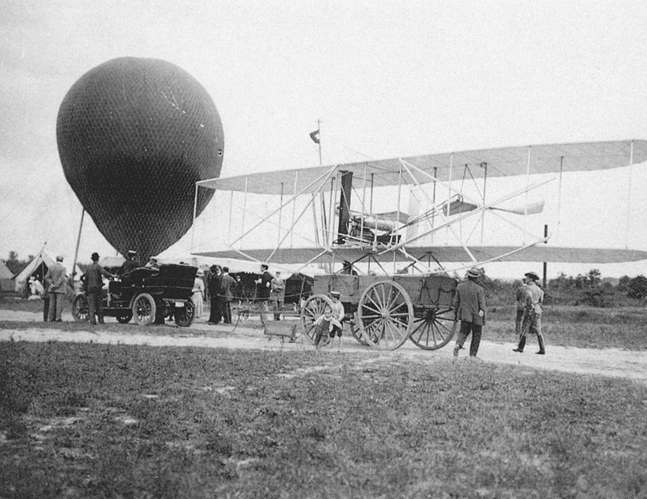 The new and improved 1909 Wright Military Flyer arriving at the Fort Meyer proving grounds on the back of a wagon. Katharine Wright, no longer teaching at Steele High School, had become a common sight at test flights. Soldiers help move the Flyer to the launch track. Orville and Wilbur readying the Flyer. Orville about the parade grounds at Fort Meyer. Orville sets a record during the speed trials. A victory lap over Arlington Cemetery.